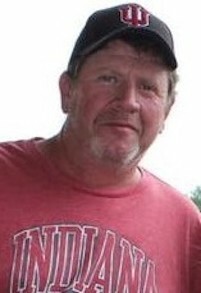 Roy Thomas, age 53, of Osgood passed away at his home early Saturday morning, April 6, 2019. He was surrounded by those he loved most. Roy was born on August 20, 1965 in Batesville, the son of William and Patricia (Landes) Thomas. He grew up and spent his entire life in the Osgood community. Roy was a graduate of Jac-Cen-Del class of 1983, where he enjoyed playing basketball, baseball, and golf. Shortly after finishing high school he met Jan (Dixon) of Milan, and the two of them were united in marriage on June 21, 1986 at the Osgood United Methodist Church. They have spent the last 30 plus years in Osgood raising their children, Paige and Riley. Roy had various jobs throughout life. He did sales and estimation, for the past 5 plus years, working for Four Seasons in Osgood. Early on in his career, he worked for Halcomb Home Center in sales and estimation, worked various carpentry jobs, and had completed numerous projects. Although he was a hard and dedicated worker, his favorite job was simply being Dad. If you were lucky enough to spend five minutes with him, you knew he was proud of his kids. He took pride in taking Paige to horse shows on the weekends, and coaching Riley in numerous sports. He truly fed off their success and happiness. He was passionate about helping kids learn and develop. Roy spent 15 years coaching different sports, at various levels for Jac-Cen-Del. To simply relax and enjoy life, Roy enjoyed fishing trips in Canada with his dad, going on weekend Jeep trips with Jan, spending time at the family’s pond, taking care of the farm, and spending the day with his family. He will be deeply missed by wife Jan, daughter Paige, son Riley all of Osgood, his mother Patricia, and dear family friends Tom and Gloria Borgman, Ellen (Bill) Davis, and Cory Stine. A private family Celebration of Life will be held at a later date. Memorials can be given to the Osgood Volunteer Fire Department in care of Neal’s Funeral Home.